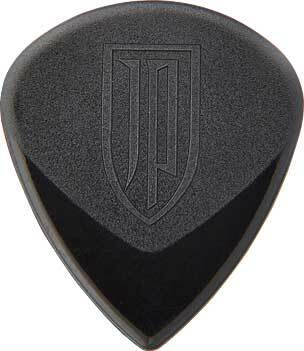 John Petrucci Jazz III picks - Designed to the prog rock legend's own specifications, featuring a raised JP logo grip and a slick polished, beveled tip. Made in U.S.A.
Picks made from Ultex are flexible, lightweight and virtually indestructible. Combine the durability, sharp attack, and lightweight of Ultex with the Jazz III design.